Request a consultationRequest AdviseMake a general enquiry. Karen and Steve work hard for their clients and won’t rest until the job is done right! I would recommend their services to anyone looking for a trustworthy and reliable general contractor. They have been in this business for a long time and have the know how to get the work done. I have known Steve for a few years so I expected to have excellent service for our reno, but I was very impressed with the rest of the crew, particularly with Karen. She would go above and beyond to make sure we would be happy with everything. It was a mix of insurance and private renovation and they were phenomenal. 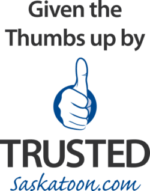 We have had the worst reno experience in the past and we’re rewarded with the best now!!! Will wholeheartedly recommend them to anyone! And most definitely have them back! They were fair priced, communicated well, on time, on budget. What else would you expect from your contractor? Thank you Steve and Karen! Steve, Karen, Colton & crew modernized the front of our 30 year-old home. They were very thorough, reliable, hard working & a joy to have around. By far the best contractors we have ever dealt with and we are very happy with a great job. Steve and Karen were amazing to deal with. They went above and beyond. They were a great price, the crew did an amazing good and worked hard and fast! They even came ahead of schedule. The whole process with them was great and I highly recommend their company. Great people to work with and I would definitely deal with them again if I needed a contractor! Thank you guys for making our basement an easy process! I am writing this today because I am extremely happy and impressed with my experience with K&S Contracting. I have never written a review before, but I feel I need to let you know my enjoyable experience working with Karen, Steve and their family. First I would like to let you know why I need to write this review. I own a home that requires a lot of TLC. I am not a ‘handyman” type person and have little imagination when it comes to picking colour and design. K&S Contracting has gone above and beyond my best expectations for their repairs, remodelling, design and attention to every detail. On top of all this, they have always been reliable, stayed within budget and always demonstrated professionalize and good communication. Definitely a company I would work with again and would most definitely recommend them to family and friends. K&S did an awesome job finishing our basement in our new condo AND finishing the garage that was just drywalled, all on time and it turned out beautiful!! High standard workmanship and great to deal with!! Steve and Karen did more than expected as we did our shop build. They helped every step of the way! I couldn’t be happier with their service before, during and after the build! Steve and Karen were amazing to deal with! We ordered a RTM and got K & S Contracting to do the basement and garage (and they also did the floor in our shop). Always on time (and also started ahead of schedule) quick awesome workmanship and amazing people. Would definitely recommend them! So helpful and knowledgeable and efficient! They did our new countertops, painted the inside of our house and built us the most amazing deck! Thanks Karen and Steve!!! They do high quality work and did a great job finishing my basement and my garage!! K & S Contracting are a Trusted Saskatoon Contractor and Foundation specialist...we'll get you back on solid ground! We specialize in foundation repairs for residential and commercial properties in Saskatoon and area.